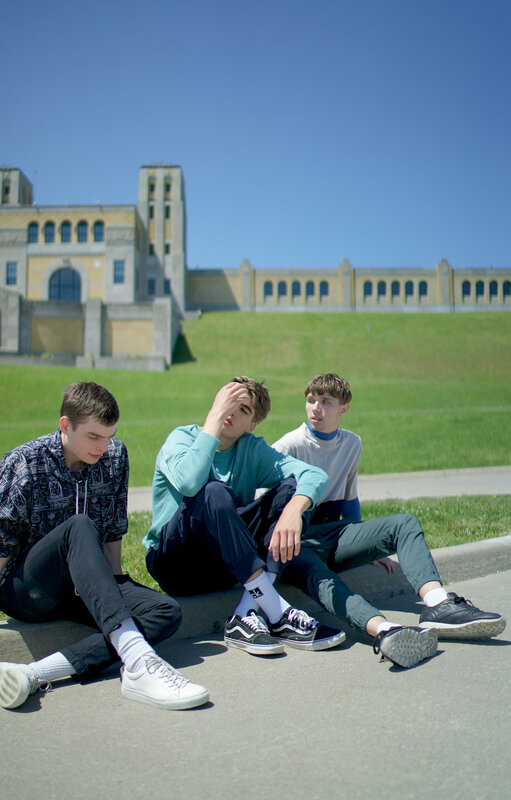 Boys About Town marries the inspiration derived from Berlin street gangs and vintage sportswear with the landscape and 1940s architecture of the R.C. Harris Water Treatment Plant. Ryerson and Toronto creatives teamed up to create this summer shoot that attempts to take some of the glamour out of the idea of a fashion editorial. I am chained, under lock, and key. From youth I’ve been here wasting away. No calls, no cares . . . no one cries for me. gleaming things, pretty young things. 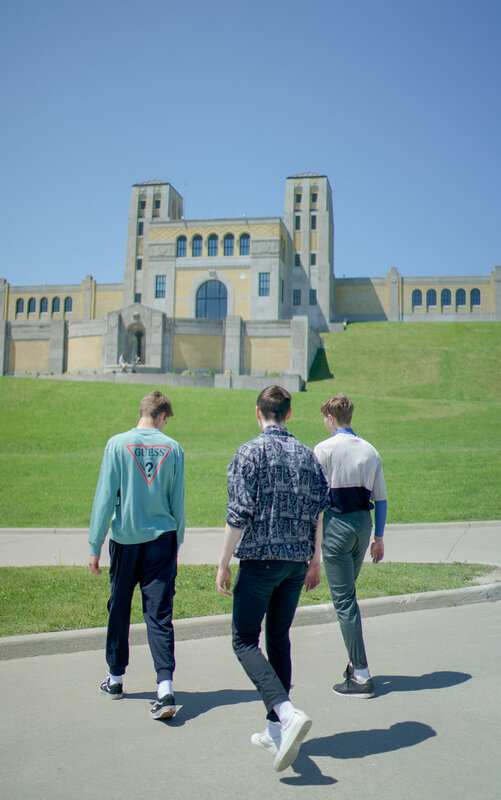 For RADmag’s fourth in-house editorial, former editor-in- chief Graeme Montgomery and content creator, Sasha Downie-Ross took to one of Toronto’s top architectural beauties for their Boys About Town shoot. We sat down with Sasha, the art director of the shoot, to find out more about the inspiration and techniques behind the spread. RADmag: Can you tell us a bit more about the inspiration behind Boys About Town? S - Boys About Town really had two primary points of inspiration, the first being a poem written by Pedro Concepcion called “Wasted Youth” and the second being photographer Gosha Rubchinkskiy. The poem essentially captures this idea of vanishing youth and the lost dreams that manifest during that period. We envisioned this idea of wasted youth alongside Rubchinskiy’s photography series of Berlin street gangs - the two were huge compliments to one another and it helped to create a hardness and depth behind the story and models. S - The first thing I did before creating my shot list was look through Rubchinskiy’s body of work. He has such a distinct style of photography and is able to evoke a lot of emotion in its simplicity. His photographs are also extremely raw and they do a great job at capturing the subject in what feels like completely candid moments. I ended up creating my shot list specifically to capture the subject’s personalities and relationships with one another and their surroundings. Many of the group shots were simple but designed to see how the models interacted with one another - so we definitely played with angles and different P.O.V’s to essentially overlap the subjects in the shots. There was definitely an importance of creating the feel of a gang - capturing the closeness between the subjects but also their own individualities. the first time I had ever seen or heard of the R.C Harris Water Treatment Plant - and it’s a pretty substantial piece of architecture - it looks like a castle. Graeme knew about and also really wanted to shoot outside, so it was a no brainer. The location was huge and had a ton of structures to play with. They had benches, stairs, railings and different levels in its architecture which gave us a lot of room to work with. We also had the water behind us and large areas of grass, which produced nice variance between the building itself and our models. RADmag: Do you have a favourite shot from the bunch? S - Yes! I mean I love them all a lot and I feel like I’ve changed my mind a few times on which one I like best. But the one with Foley sitting on the railing with his shoe raised looking down on us is my current favourite. That was one of the later shots we took, we were walking down to the water to take some groups shots and I stopped because I really wanted to take a solo P.O.V from below. I directed Foley to keep his foot up and make it look like he was essentially kicking me in the face - his body looked kind of contorted from a straight on angle, but since Taylor (our photographer) was way below we were able to create this awesome shot with a lot of depth. RADmag: Overall, how was the experience of working on this editorial? S - Incredible! This is now my fourth in-house I’ve been a part of - the first couple I was just assisting on set and then the third I was able to produce and style. Being able to try my hand at art directing this issue was truly amazing. 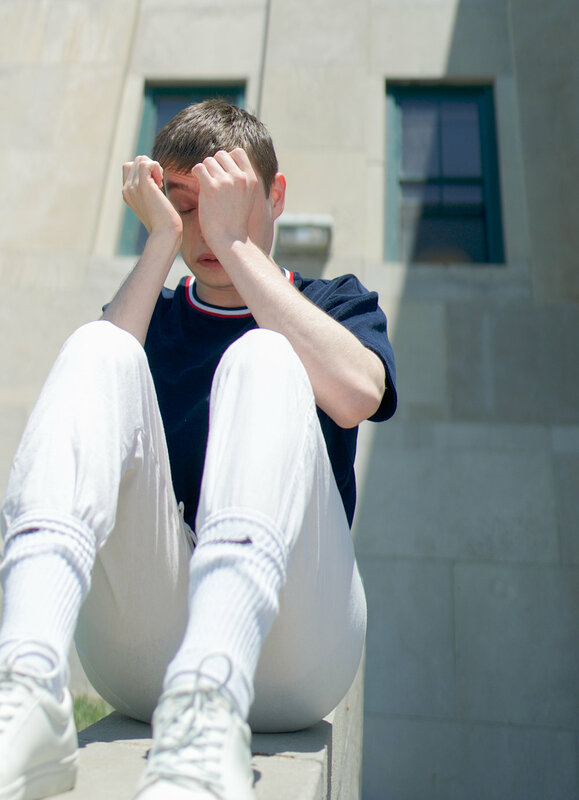 This editorial was also Graeme’s last for RADmag as he graduated back in spring. We went through our program together at Ryerson and he also brought me into RADmag, so it was a bittersweet finish and also pretty cool to work on his last project together.